Heavenly Delights' Sour Rainbow Belts. Fruity flavoured sour rainbow belts. These sour rainbow belts packs a knockout sour punch! We love them and we're sure you will too! 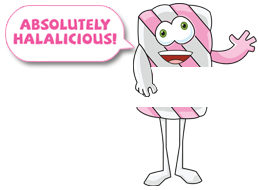 This 80g Bag has just enough to keep everyone happy! 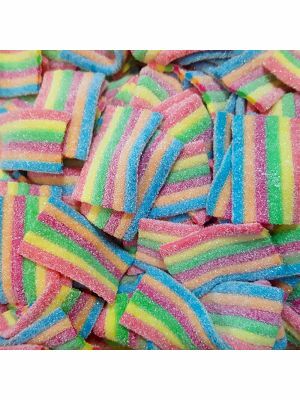 Fruity flavoured sour rainbow belts. These sour rainbow belts packs a knockout tangy punch! We love them and we're sure you will too!